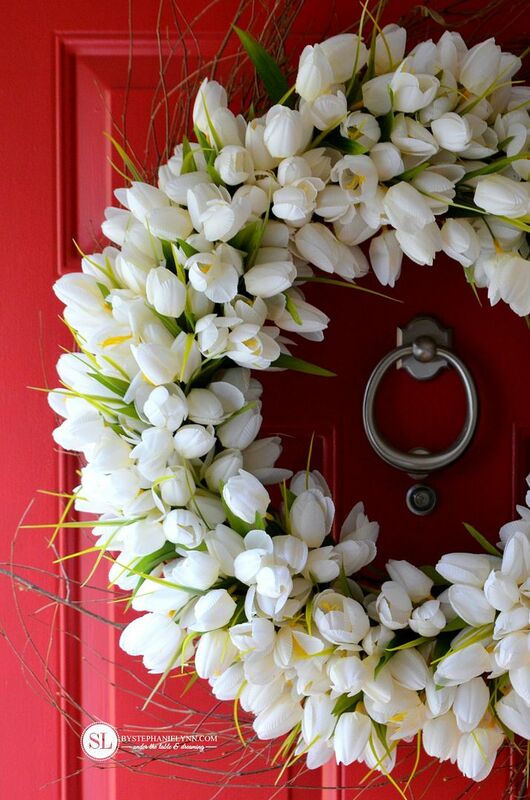 One of my favorite ways to welcome each season is with a new wreath on the front door. 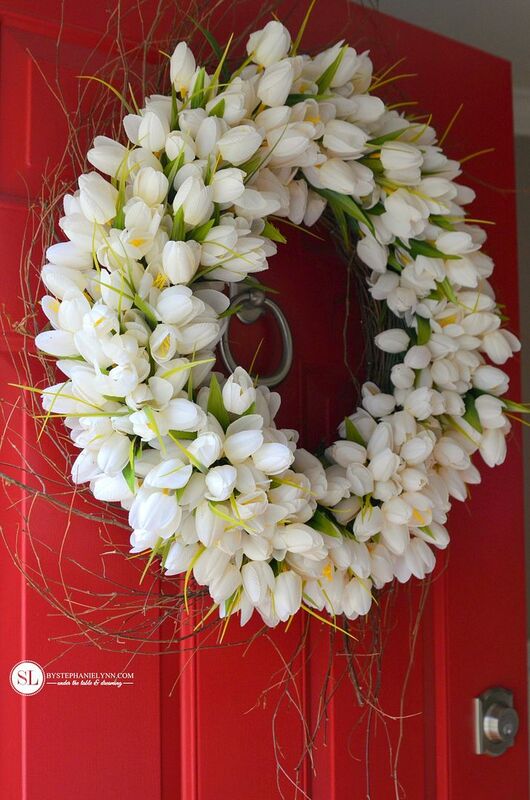 A wreath is such a simple addition that instantly brings a fresh perspective to the front of any home, without much effort. It’s one of the first things your guests see and an easy way to speak volumes and express your style, without even saying a word. 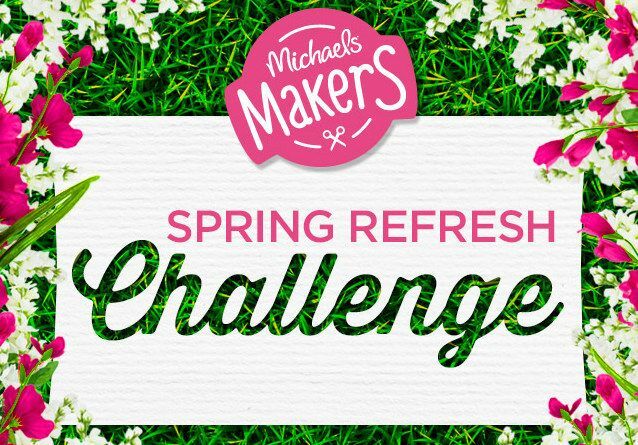 As we begin to refresh our homes for the upcoming season, Michaels challenged the Michaels Makers team to incorporate some beautiful spring florals into our home decor. 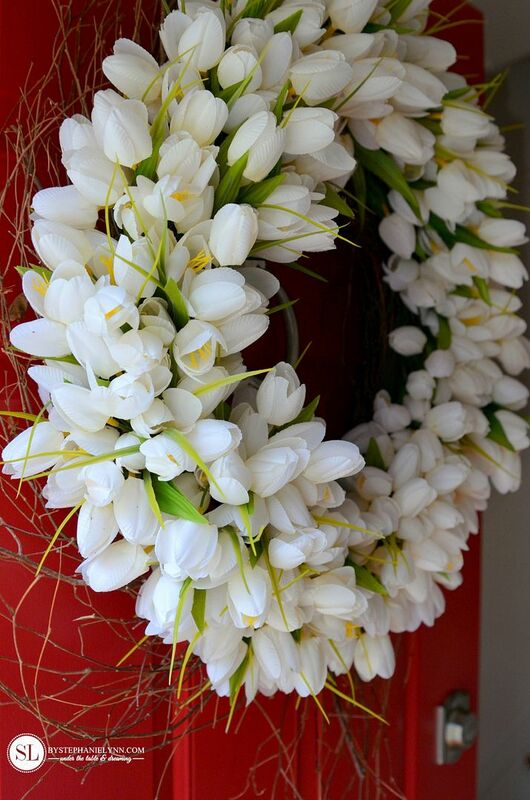 Naturally, I started with the entrance to our home – our front door. 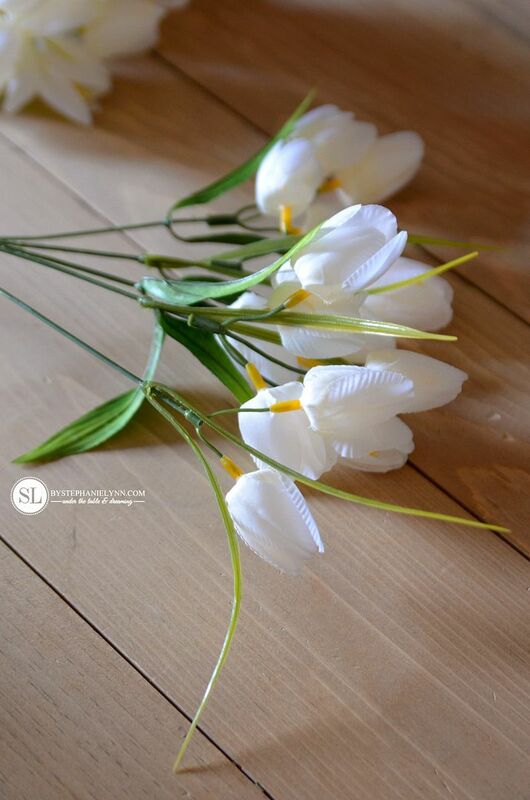 Tulips scream ‘spring’ like no other flower – so, of course, they were my first pick from Michael’s new Floral Market. 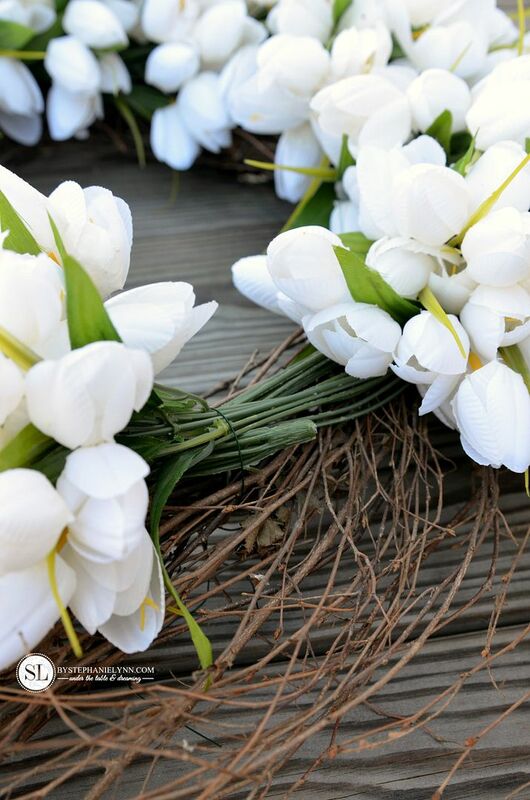 This wreath requires no special crafting skills, or floral arranging experience, and can be completed fairly quickly following the easy steps below. 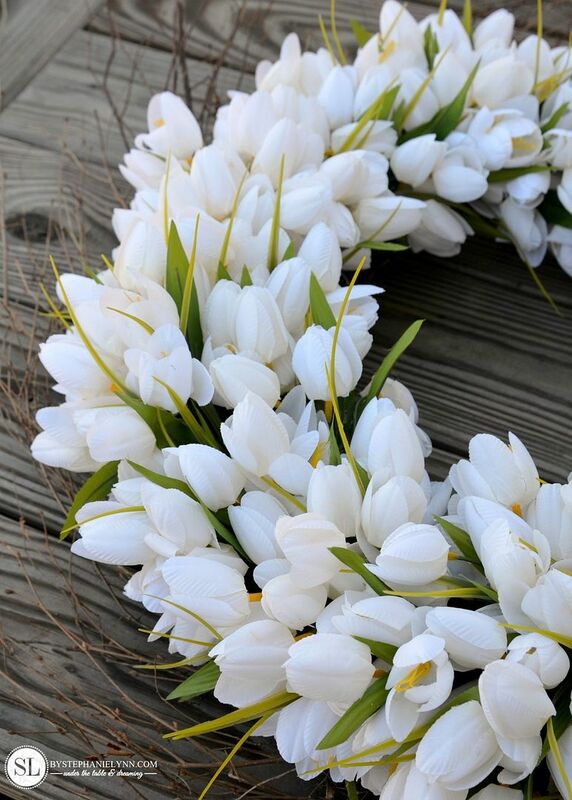 For reference, I used 20 bunches of mini tulips to completely fill the 24 inch wreath. 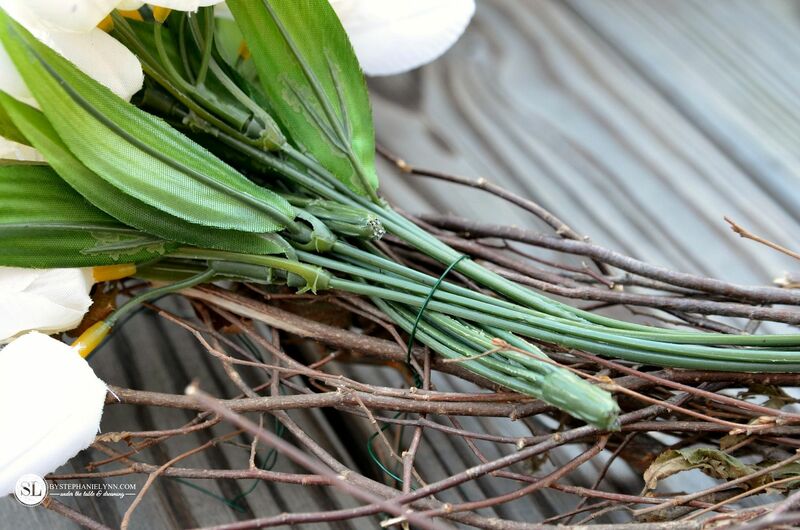 Step One: Trim the end of the floral stems with wire cutters. 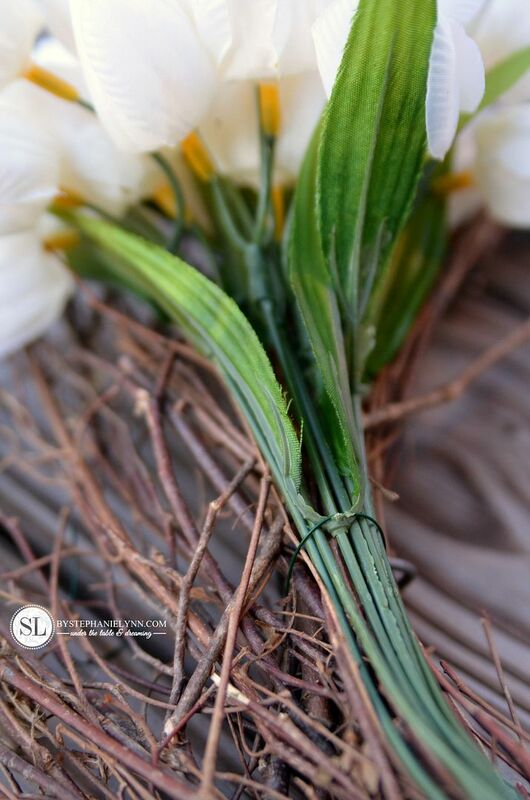 For a fuller look, slide the greenery to the top of the stems. Step Two: Slightly bend the stem to conform to the shape of the wreath. Loop a piece of floral wire around the stem and grapevine. Tightly twist the ends of the wire towards the back of the wreath, as shown below, to hold the stem in the place. The excess wire can be trimmed at this point or at the end, once all the stems are attached. 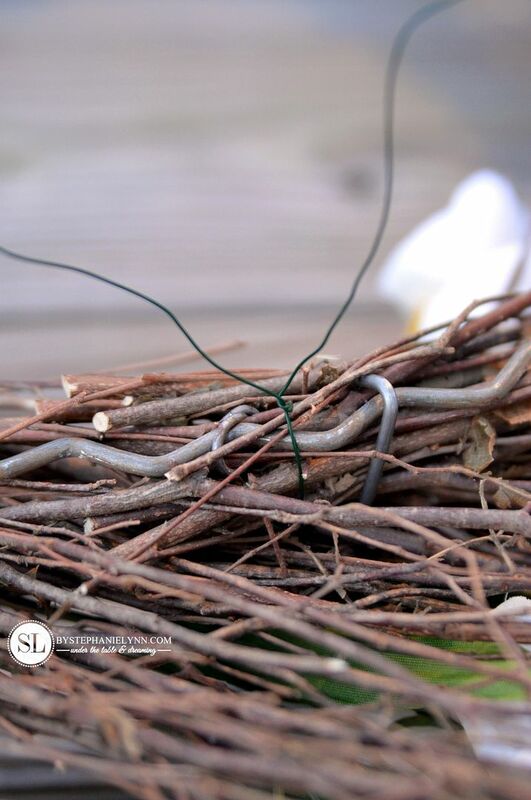 I like using floral wire when putting my wreaths together – so they can be easily taken apart at the turn of a new season – and the grapevine base can be re-used. As mentioned above, these grapevine wreaths are my favorite and they do quite well out in the elements. Step Three: Continue to layer and attach the stems until the wreath is complete. 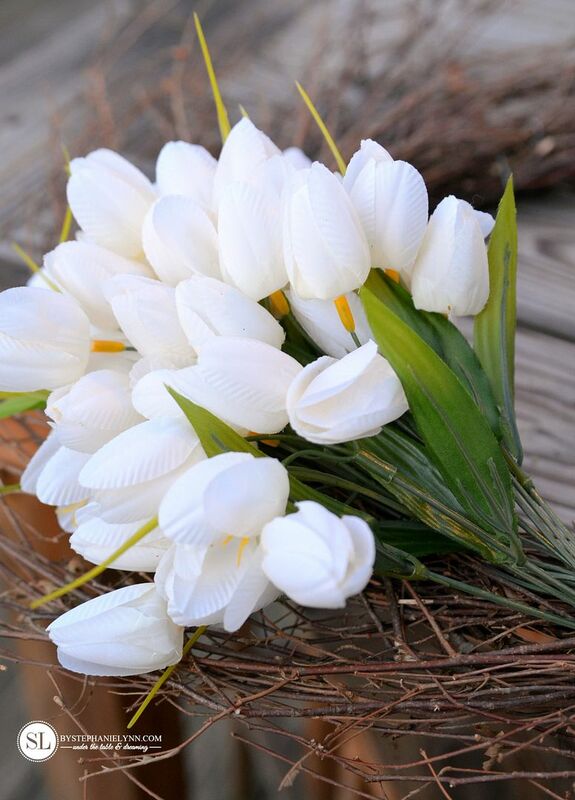 Each bunch of tulips is placed right on top of the prior bunch. 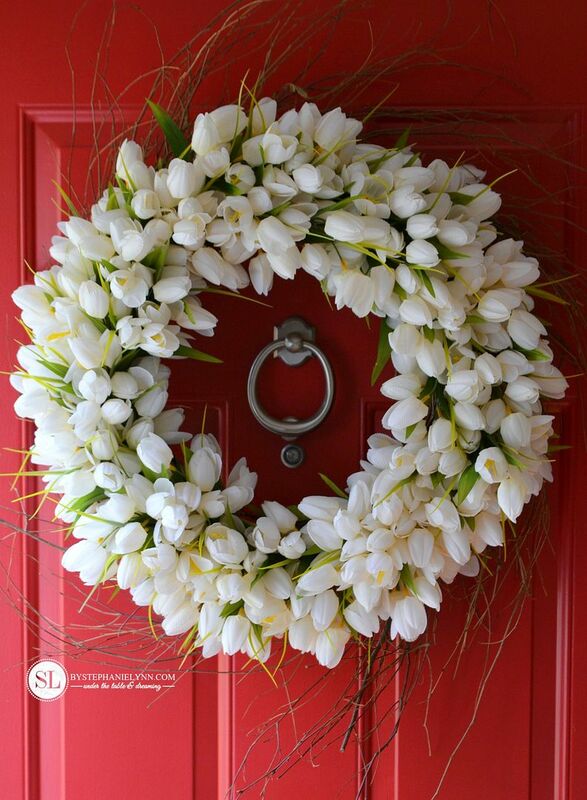 For a fuller and lush wreath, layer the bunches close together leaving little to no room between the stems. 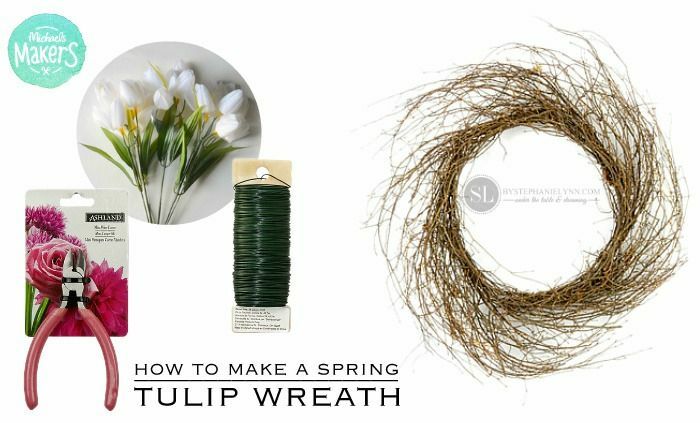 As you work your way around the wreath, you will see that when you attach each new stem – you will be securing the prior stem, a second time, as well. This will help keep the stems in place and can be seen in the photo above. 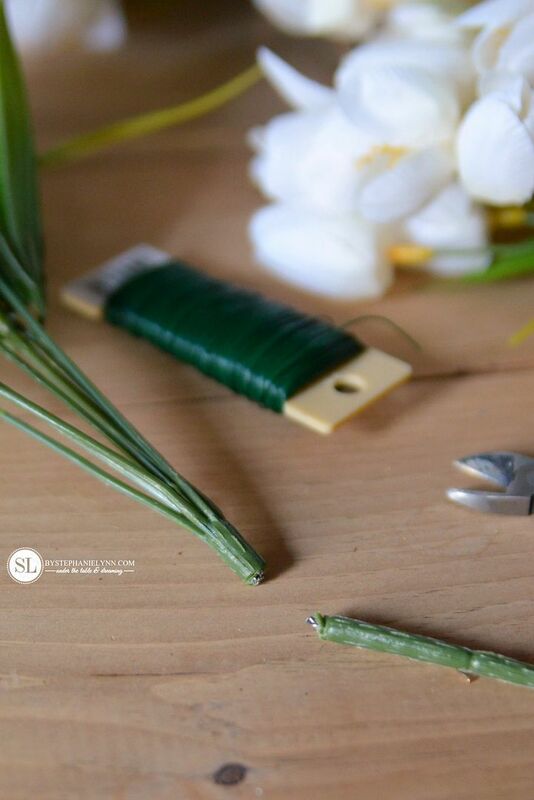 Once you have worked your way back around to the starting point, the last couple of stems will need to be tucked into place to create a seamless design. 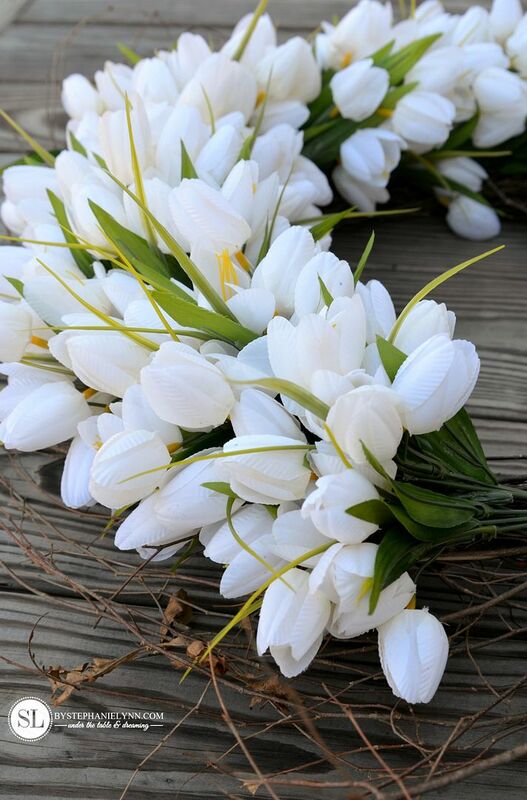 To do this, simply lift ‘the starting bunch’ so the wire can be attached and secured underneath then fluff the blooms back into place. 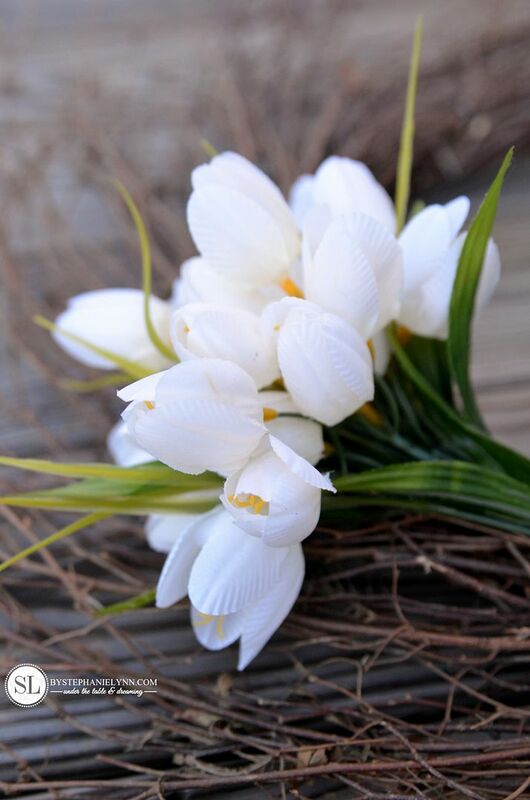 We are so ready for spring… 20 days and counting! 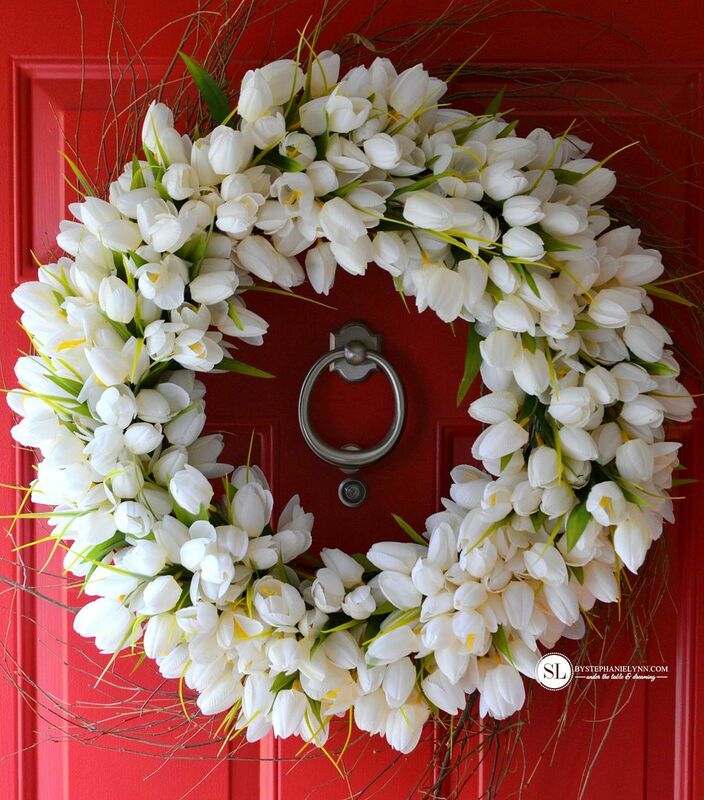 How will you be refreshing your home for the new season? This post is brought to you by Michaels . The opinions read here are entirely my own. 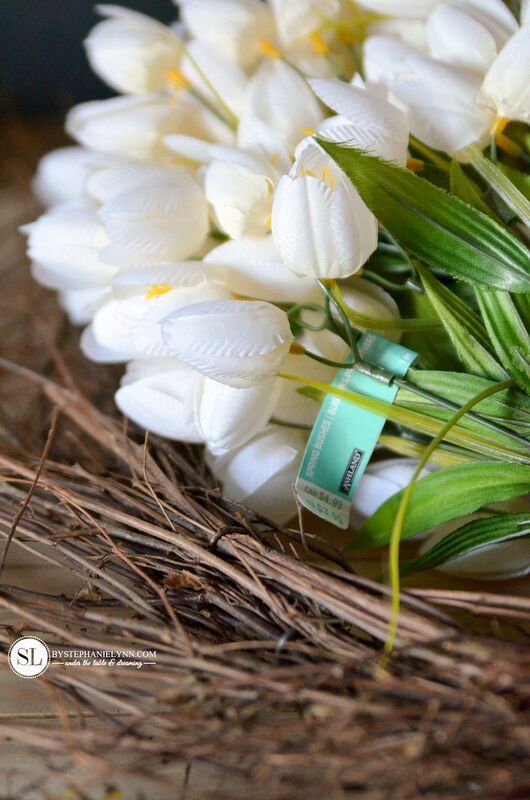 Michaels new Floral Market has over 500 new blooms and freshly picked projects to make this the prettiest spring ever. 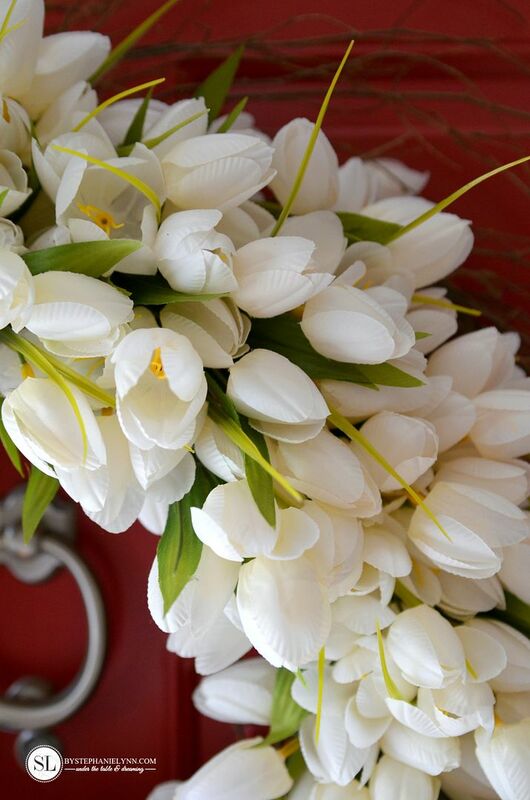 Just by swapping out a few décor pieces or adding a lovely floral arrangement can completely transform your home for the fresh, new season. If you don’t know where to begin, you can always take a look at some of the fun projects on Michaels.com or the other 49 Makers’ ideas on The Glue String for to see how they personalized their crafts. Also, don’t forget that the Win a Trip to the Makers Summit Contest is now live! To enter, simply visit Michaels.com/madewithmichaels and upload a photo of a personalized project you have created. 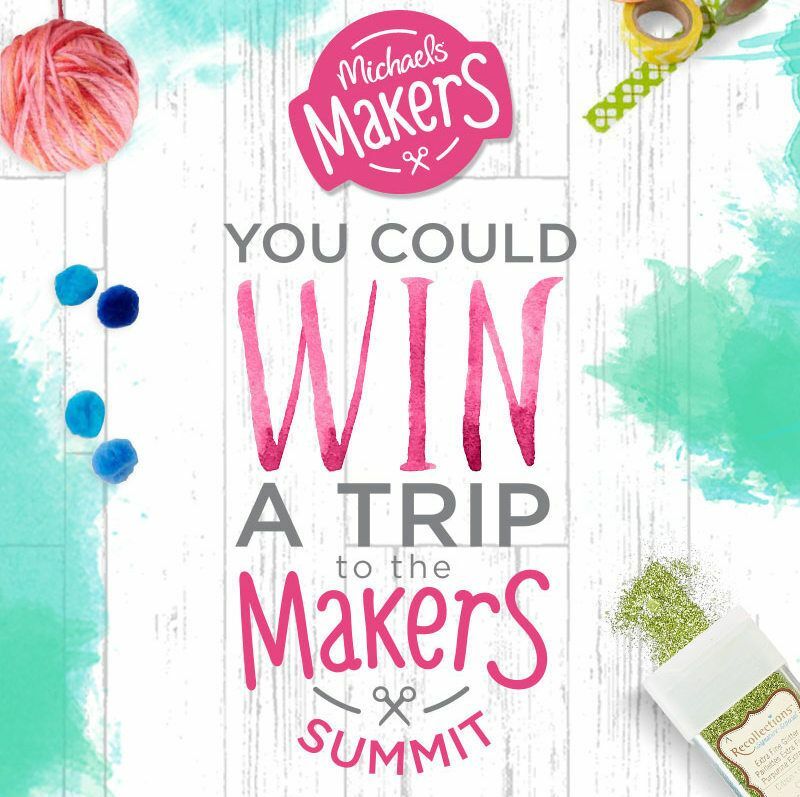 50 winners will have a chance to attend the Second Annual Michaels Makers Summit. You can check out last years summit here. Happy Crafting! It’s beautiful and thanks so much for the tutorial. 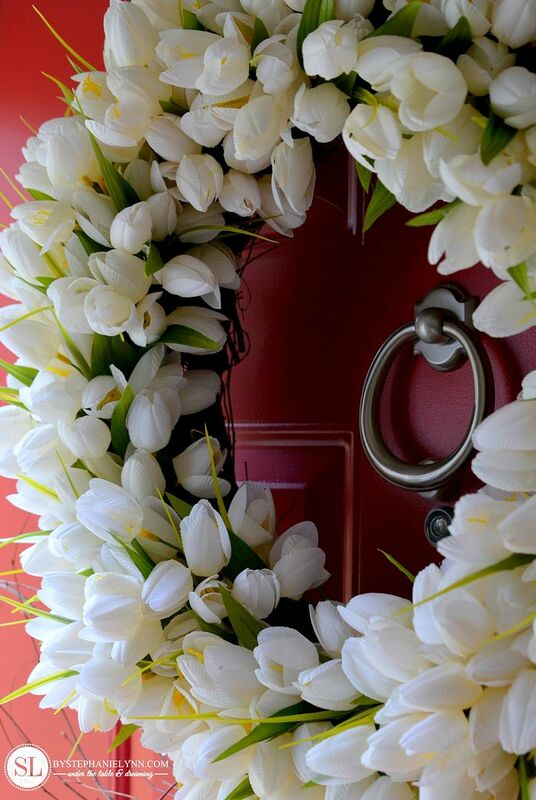 This Tulip wreath is so pretty and festive. Thanks for showing us to how to make it.